Written on August 7, 2014 . Posted in Announcements + Updates, Architecture and Design. 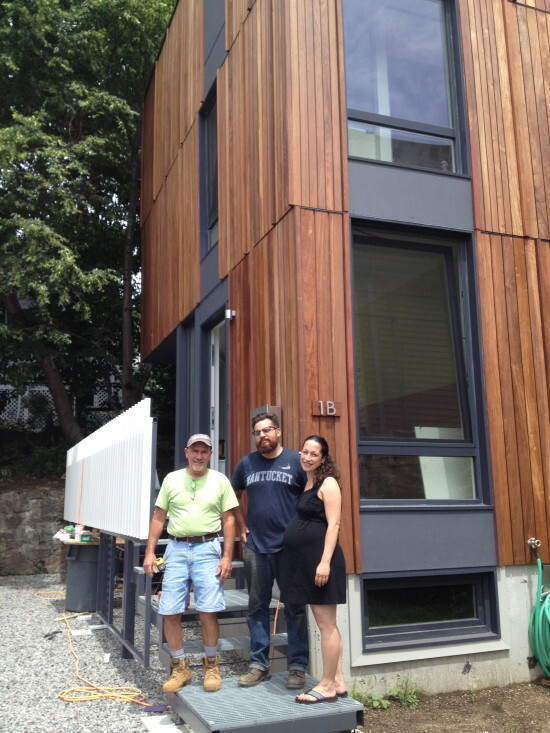 Hansy Better (Associate Professor, Architecture) was recently featured in the Jamaica Plain Gazette for the “supergreen” house she built on Meyer St., Jamaica Plain, Mass. “It was a research project for us,” Barraza told the Gazette during a visit to the nearly completed home. “What do you really need” to build an affordable, modern, energy-conscious house? The article was published on August 1, 2014, the day Better’s daughter, Aires Luz Better Piermarini, was born.